Like a lot of garden writers, I get to try out newish plants, courtesy of plant wholesalers. For several years, I’ve gotten plants from Proven Winners and invariably there are indeed some winners among the plants. This year, I grew two annuals from the sample plants that have grown really well, and definitely are among the “best of” plants for their categories. He’s not visible in this shot, but there was a bee all over these guys when I took the photo. 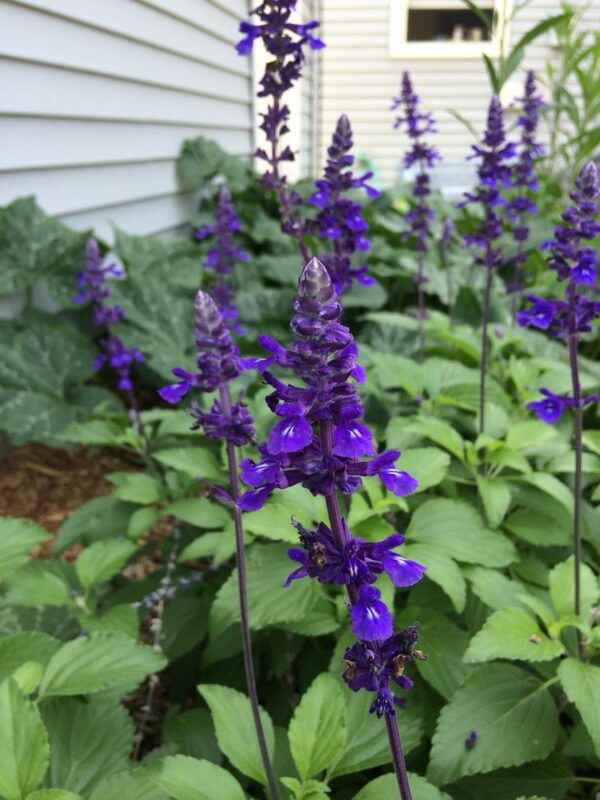 Playin’ the Blues salvia — Part of a series called Rockin™, these deep purple-blue salvia have gotten zero attention from me, but have bloomed and bloomed and bloomed all summer long. Even in August, the foliage looks healthy and shiny and the flower spikes keep growing. I planted these in a bed that I’m planning to use for strawberries next year, so I basically threw whatever into it this year—the garden equivalent of a junk drawer. (That’s why there is a monster squash edging its way around the salvia.) The bed gets part-sun at best, and other than a little slow-release fertilizer in the planting hole, nothing else has been done to them. Pest and disease free, the bees seem to love these plants. The foliage looks better than any of my other annuals. They are winter hardy in USDA Zone 7 and higher, so for cold-climate gardeners these will have to be annuals. Playin’ the Blues looking great in my “junk-drawer” garden bed. Superbells® Over Easy™ is a Calibrachoa hybrid that does really well in containers. I planted these with some lilies, which have bloomed already, and some marigolds grown from seed. The white color with a dot of yellow at the center does remind you of over-easy eggs and the plants brighten up whatever else they are planted with. White is such a great color for adding contrast to the garden. Unlike some of my other petunias and calibrachoas, I did not need to give the Over Easy plants a mid-season trim in order to keep them blooming. The plants don’t get huge — staying under 12 inches tall, but they look neat and perfect flopped over the edge of a terra-cotta container. 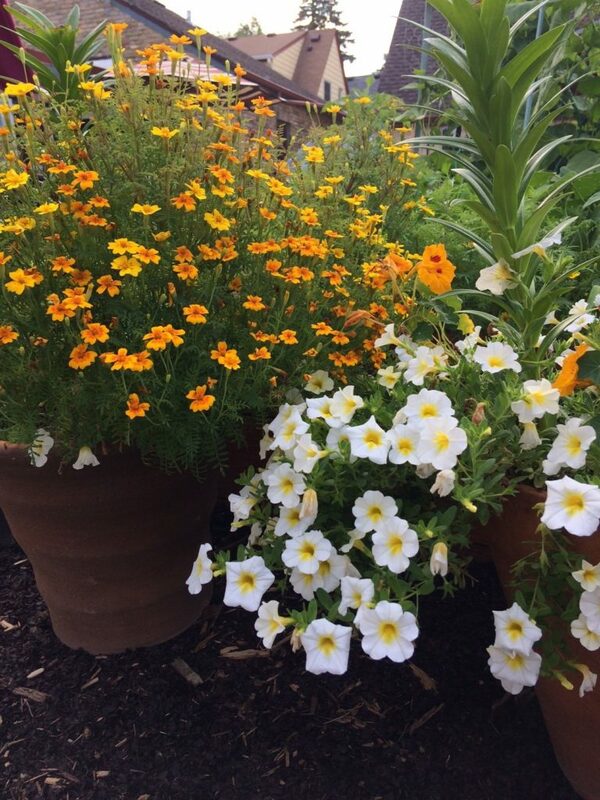 Marigolds pair well with this yellow-centered calibrachoa, which is called Superbells® Over Easy™a new plant from Proven Winners. What have been your best-performing annuals this season? 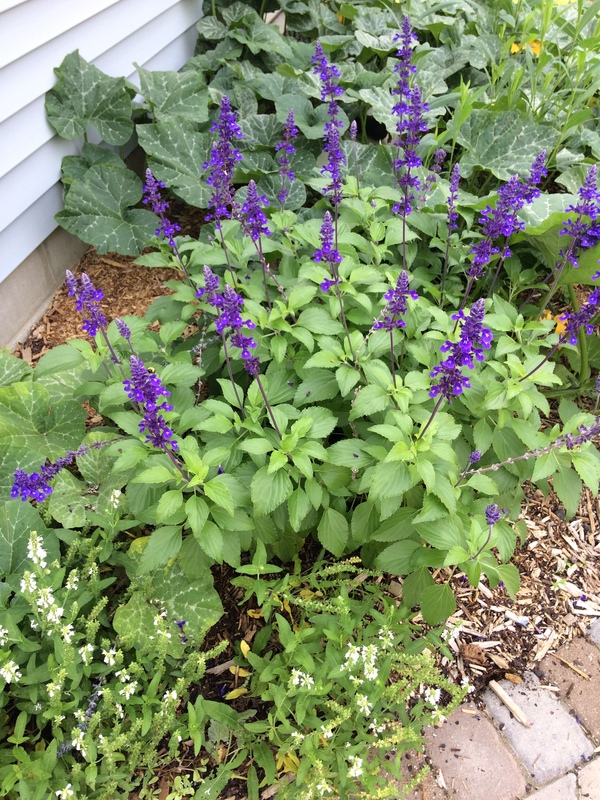 Disclaimer: I received free plants from Proven Winners to test for readers of this blog and Northern Gardener magazine. The opinions are my own and no other compensation was exchanged.